Some creditors are more willing than others to work with you. Sometimes you just can't swing even the minimum payment on a credit card. Making some sort of payment may show the company you're acting in good faith and not running away from your debt, but paying less than the minimum will still have some negative repercussions. Talk to a card company customer service representative about other options that will keep you in good standing with your creditors. Even if you're paying something, you aren't paying the full amount, so a credit card company is probably within its rights if it charges you a late fee. If this happens every month, and the fees are added to your balance, it can run your balance up even higher -- maybe even over your credit limit, which can result in new charges. 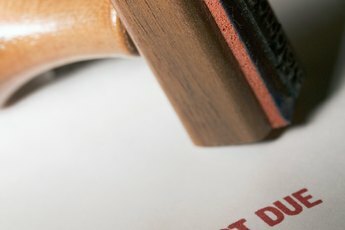 You can find out exactly what the result of an underpayment is by reading the fine print on your credit card contract or by calling the company itself. Late, missed or below-minimum payments can trigger an interest rate increase on your credit card. Again, this data is usually found in the extensive contract your credit card company gives you when you sign up for a card. An interest rate bump can be even worse than late fees and penalties because it impacts your long-term balance rather than just hitting you with a fee. If your creditor counts a low payment as a late or missed payment, they can report you to the credit bureaus as being late. This can have a negative impact on your credit score and make it tough to get other kinds of loans in the future. The lower your credit score, the higher the interest rate you're likely to pay on car loans, mortgages and revolving debt in the future. Your creditor may freeze your account if you aren't making regular full payments. This means that even if you have credit available to you, the company may deactivate your card, making it impossible for you to use it. This can put you in a bad situation if you're counting on the card for emergency use or you use it for automatic payments that suddenly aren't going through. Again, read the fine print so you know what's in store for you. As long as you're paying something, the credit card company will probably continue to accept your money and run up your fees, but it's probably within its rights to take you to court or send you to collections. This is when a card company turns you over to a third party that will make repeated attempts to get you to pay your balance in full. 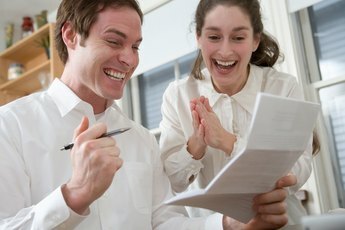 If you reach this point, your credit score probably already has been trashed, and it might be in your best interest to try and settle your debt. This might involve negotiating an agreement in which you pay off your card for less than the full balance. Does Charging Credit on Your Debit Card Count Towards Your Credit Score? Can Credit Card Companies Reduce APR to Make Minimum Payments Manageable? 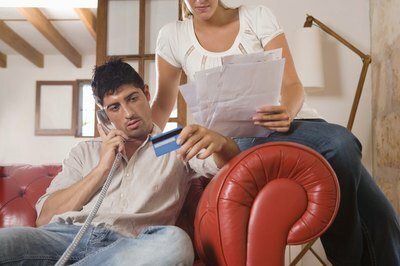 What Does CR on My Credit Card Statement Mean? Can I Get a Mortgage With One Late Credit Card Payment?